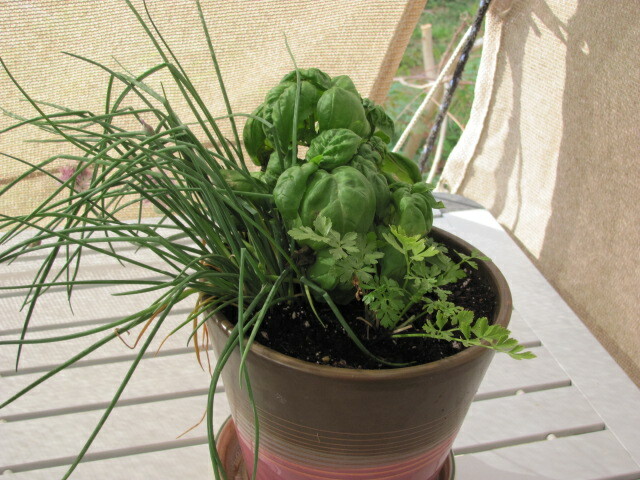 I travel with my garden! 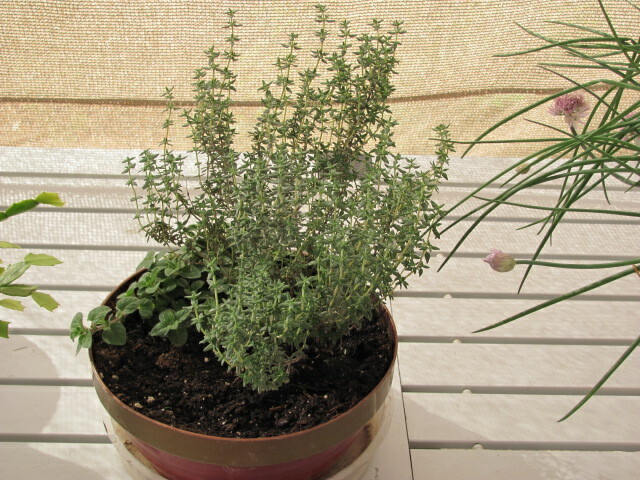 I repotted my herbs, I like to cook with basil, parsley, oregano, chives and thyme. I would love to have more herbs but when we travel the plants sit in the shower and it can be a hassle schlepping them in and out of our rig. 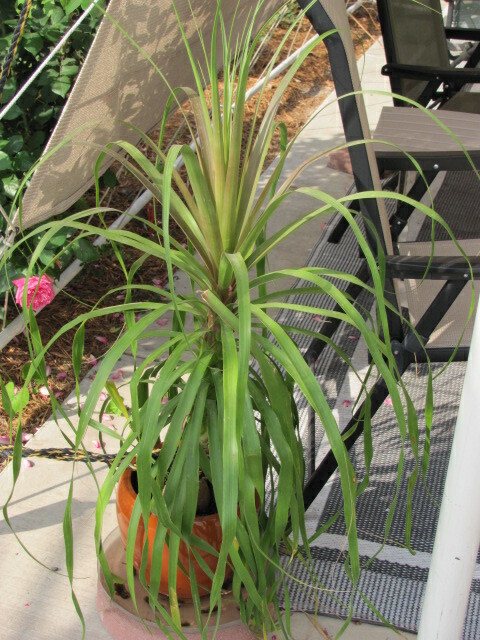 Last Mother’s Day my daughter Sonsearae gave me an Orchid and so far I don’t see any bloom stalks coming out but it has put on new leaves. 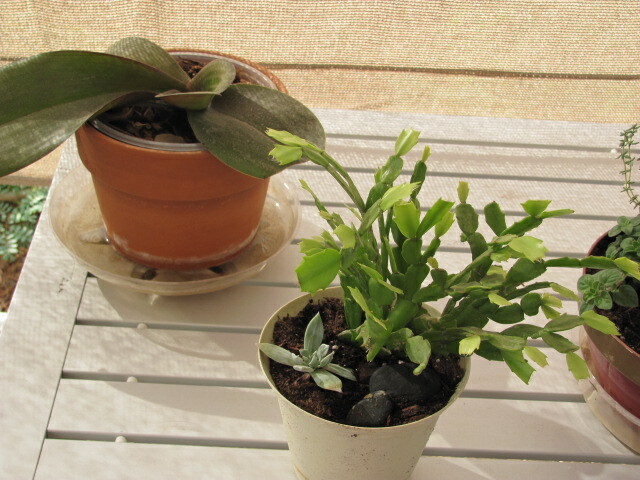 The cactus that Anne gave me also has new leaves. My pony tail palm is getting big! I may leave it at my daughter’s house when we visit her in Tallahassee. 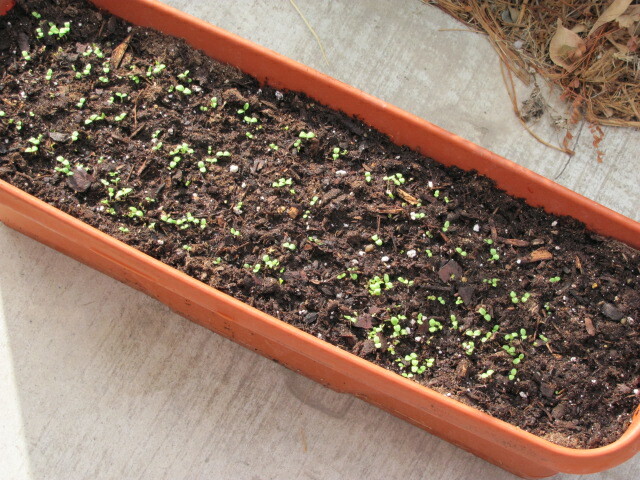 The window box was planted with lettuce and in our warm spring the seeds sprouted right away. I can’t wait to pick my own lettuce! Previous Spring is Here! Next I crashed!